Landsby west by Tipi has been an excellent experience so far, with the facilities especially super helpful concierge has been a pleasure. 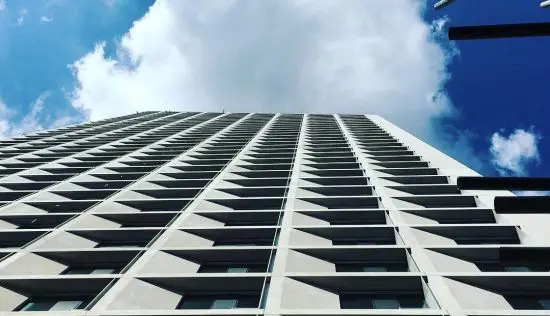 Building management team is prompt in any issues and make sure that they are resolved well in time, with pet friendly and many activities available for kid this has been an excellent choice. Like- Helpful concierge and Building Management, Pet Friendly and Kids playing area. Everything was explained well in advance. Landsby is my first rented place outside student accommodation and I couldn’t be happier! It’s a fantastic location, a fantastic flat with great amenities and the staff are amazing! Really happy here. Wembley used to be very run down, but it’s really nice now! It’s all very technical in the flats, but I’ve figured it out! This place is very close to central London and is modern and clean. Supermarkets are close by hence very convenient. The furnishings are very good. There are wooden floors throughout and the kitchen has a lot of cabinets. We would have liked the apartments to be a bigger for the price we are paying but overall would recommend it. The bathroom location in the apartment is a bit odd, it’s sort of part of the living room. There is no Waitrose close by and also if you work in east London where most of the offices are, the commute can be a bit long. Problems with admin when moving in and false promises unfulfilled. Very nice rooms and concierges, but not the best place to relax if wanting to move in quickly. Staff can be rude when dealing with issues. Nice area, easy access to shops. Wonderful area with access to all transportation and shopping facilities . Nice and peaceful environment . Near to wembley sse arena , LDO, wembley stadium and Wembley Park metro which makes it more attractive . Nice property, fair customer service. They need to work more on providing answers to customers enquires in a timely manner. Furniture is good, nice design and good value for money. Overall experience is good. Like: Restaurants, close to the tube station, several supermarkets and restaurants. Mall and cinema nearby too. Dislike: it is too crowded when there are events at Wembley stadium. Brand new furrniture and facilities. 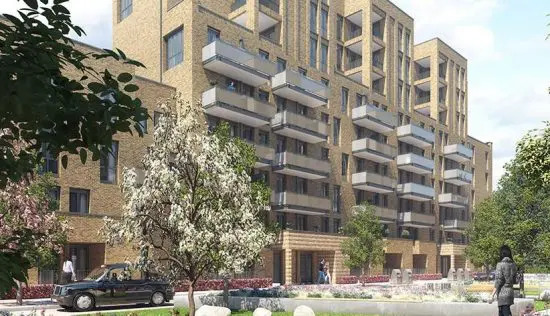 Landsby is a contemporary, rental-only development from Tipi, set in landscaped grounds in the 85-acre Wembley Park complex. Other Tipi properties in this new urban village are Alto and Montana & Dakota. Landsby actually means ‘village’ in Danish, and it’s very much a village-like set-up here. 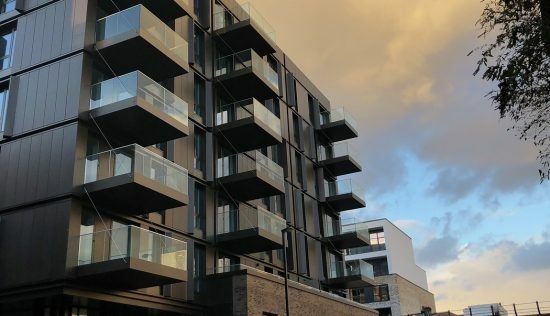 Among the ground-floor gardens there’s space for retail units and, just like its sister properties, Landsby brags first-class shared facilities in a bid to encourage community living. There’s a resident kitchen for cooking up a storm with friends and neighbours, a private dining room, a cosy residents’ lounge and furnished roof terraces for barbecues and bathing in the warmer months. 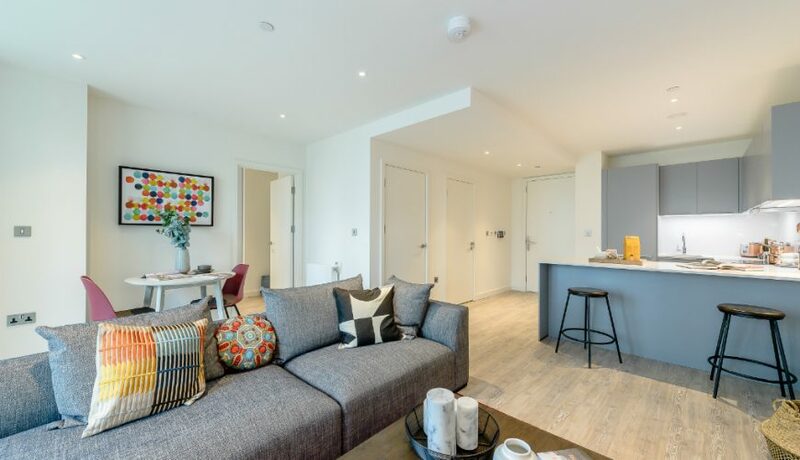 295 open-plan apartments form the residential offering at Landsby, and come with either one or two bedrooms. All are modern and minimalist in design, with wood-look floors, spotlighting and floor-to-ceiling windows. Tipi offers a choice of two Scandi-style colour schemes, incorporating soothing tones such as blue and grey. Opt for a furnished apartment, and yours will be kitted out with elegant pieces from John Lewis. Landsby is the first pet-friendly building in the Tipi collection – great for those with furry room-mates. In terms of locale, Landsby has it all. 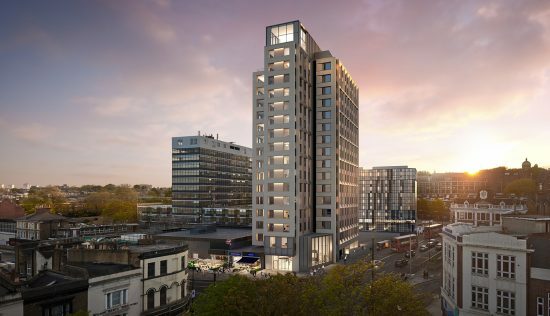 Wembley Park and its surrounding area have been completely transformed in recent years, and this development is right next to one of the most hotly anticipated newcomers – Boxpark, a lively hub of street food and entertainment, which opened in late 2018. 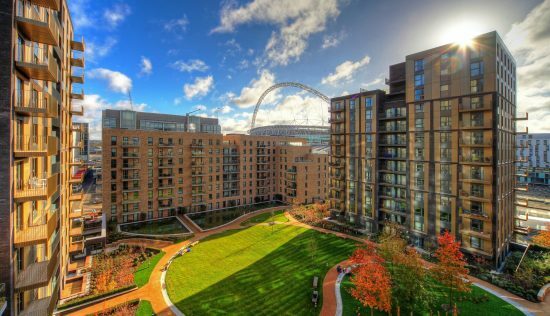 There’s a plethora of shops and restaurants in close proximity, and Wembley’s most famous landmarks – The SSE Arena and Wembley Stadium – are a short walk away. As for transport, you’re spoilt for choice. 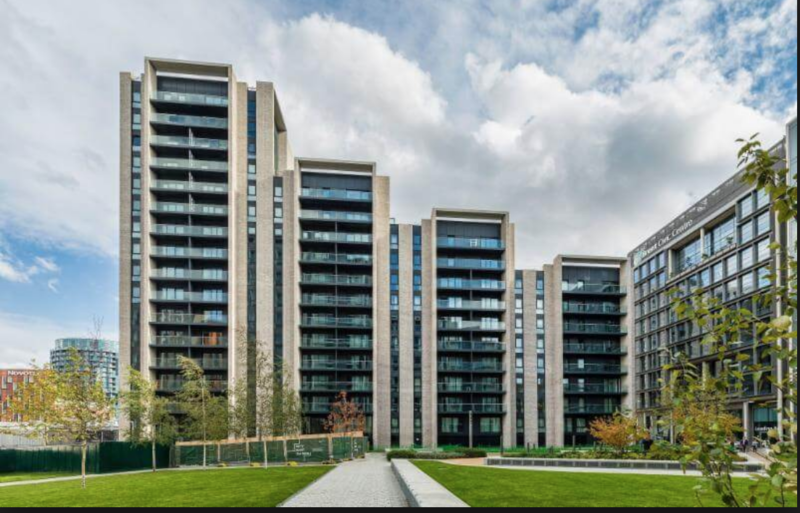 Wembley Park is less than a 10-minute walk from the development, with direct links to the likes of Baker Street, the West End and Canary Wharf via the Jubilee and Metropolitan lines. Travelling by road? The M1, North Circular and M40 are close-by.